John Kenneth Muir's Reflections on Cult Movies and Classic TV: JKM Visits Sci-Fi Pulse! 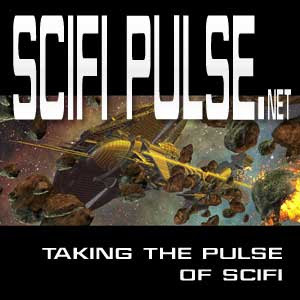 Hey everybody, I'm the guest this week on Sunday's Sci-Fi Pulse Radio Talk Show, episode 55. The popular genre talk show is hosted by Ian Cullen with writer Marx Pyle, and together we all discuss everything from sci-fi television and film to my dramatic web series, The House Between (now nearing the fourth anniversary of its debut on Veoh), to my upcoming stint as film festival judge in NYC. "For episode 55 we feature a discussion with journalist and writer of many science fiction reference books. John Kenneth Muir. Over the years John has written a number of books, his first of which was Exploring Space 1999. During our chat with the Writer Marx Pyle and Ian Cullen asked the writer not only about his view point on the current state of genre television, but also about his web series The House Between. Want to learn more? Tune in this Sunday."